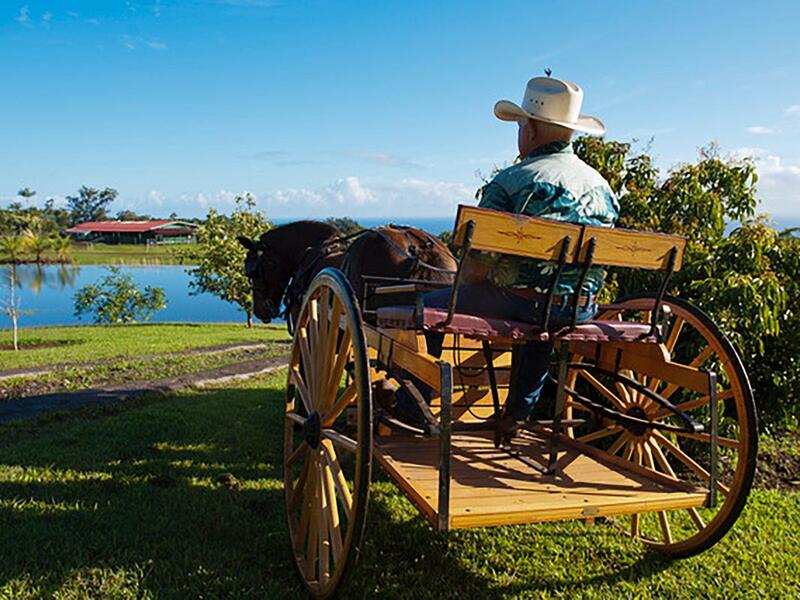 Stables at Hakalau is a unique equestrian property on the lush Hamakua Coast of Hawaii island. 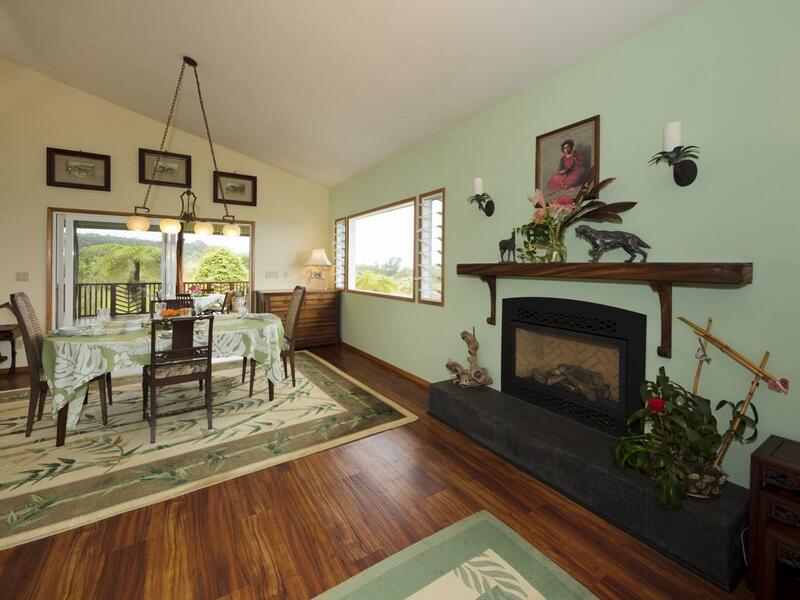 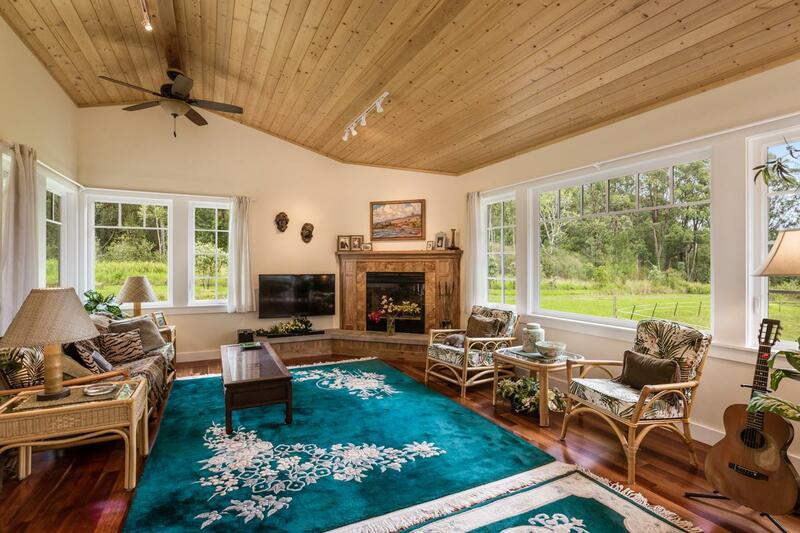 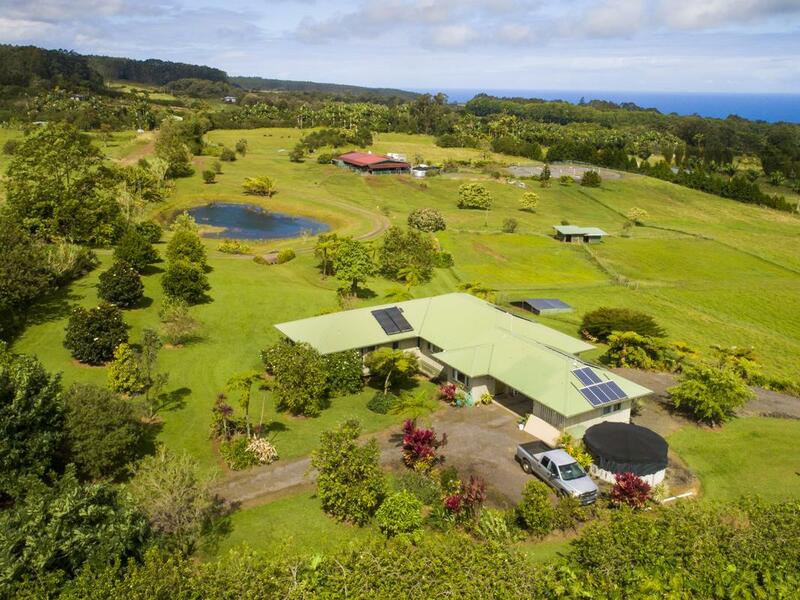 Embrace the very best of this all green, off-grid lifestyle featuring 10.78 acres of rolling pastoral land, uninhibited Pacific Ocean views, well-appointed custom-designed home, serene pond, and turnkey equestrian facility, sitting at a wonderfully cool and comfortable 1000’ elevation. 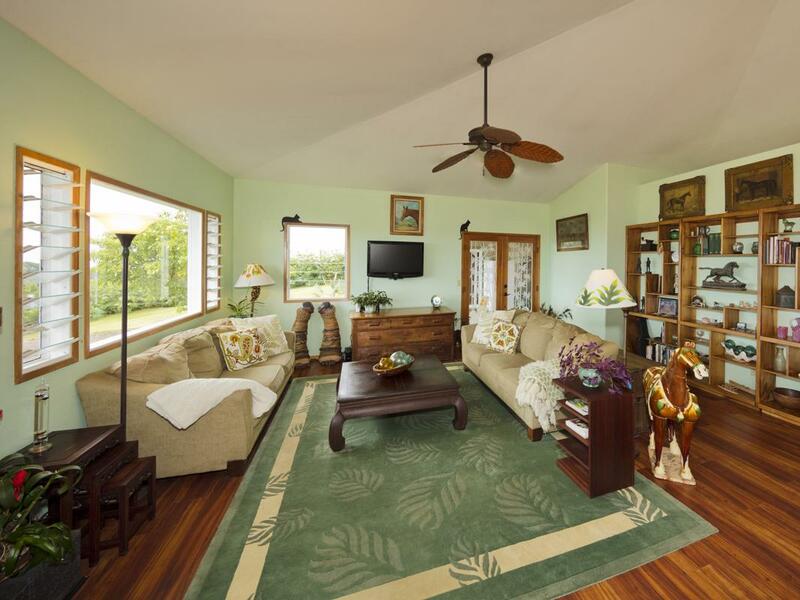 A flowing floorplan features an open-concept living room/dining room/kitchen, fireplace and home office. 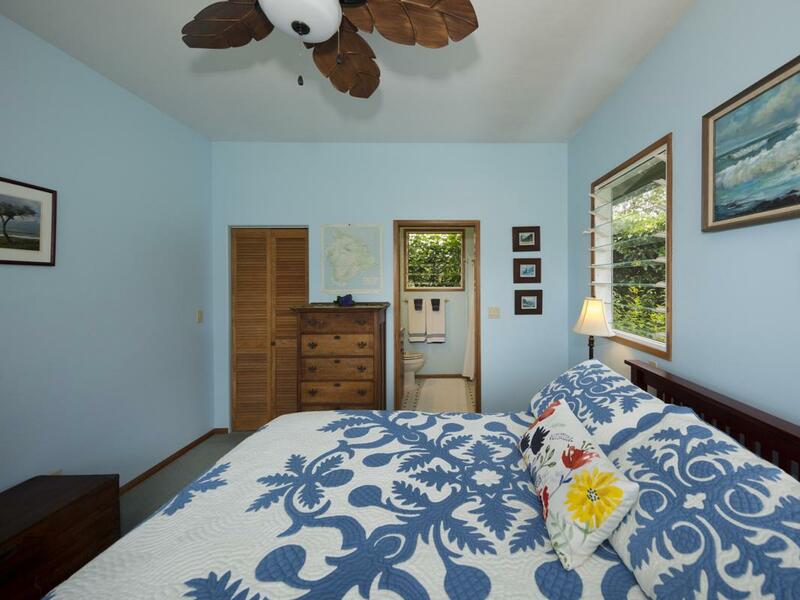 The large master suite comes complete with gas heater, en-suite bathroom, and attached laundry facility. 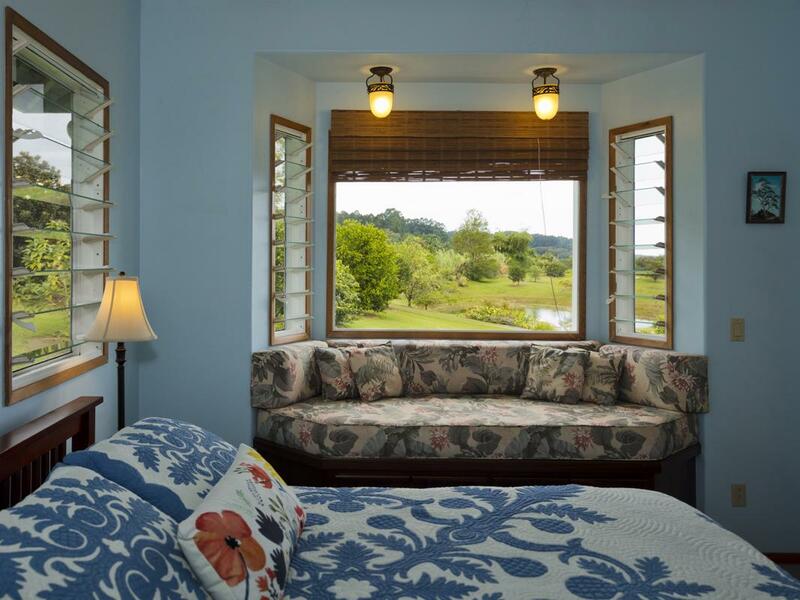 With its own private entrance, the second bedroom also boasts an en-suite bathroom, large closet and bay window. 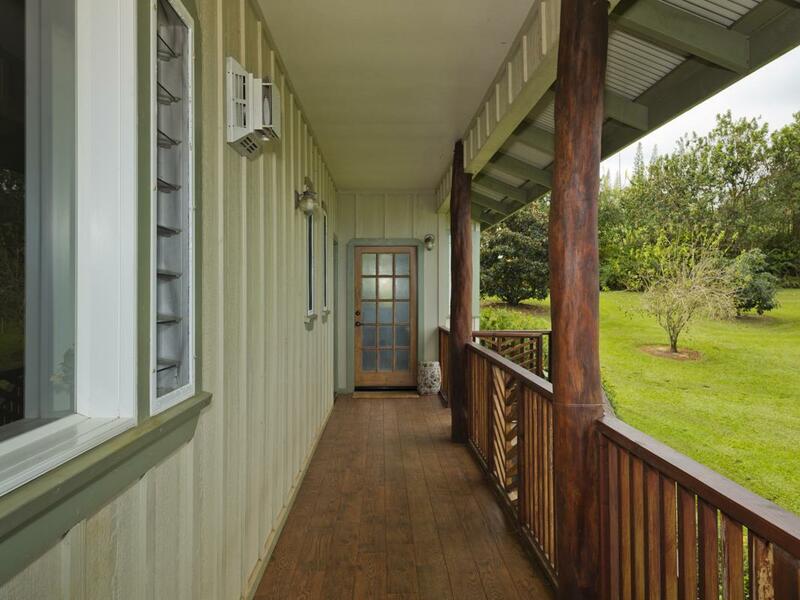 A detached third bedroom is just steps across the covered porte-cochere. 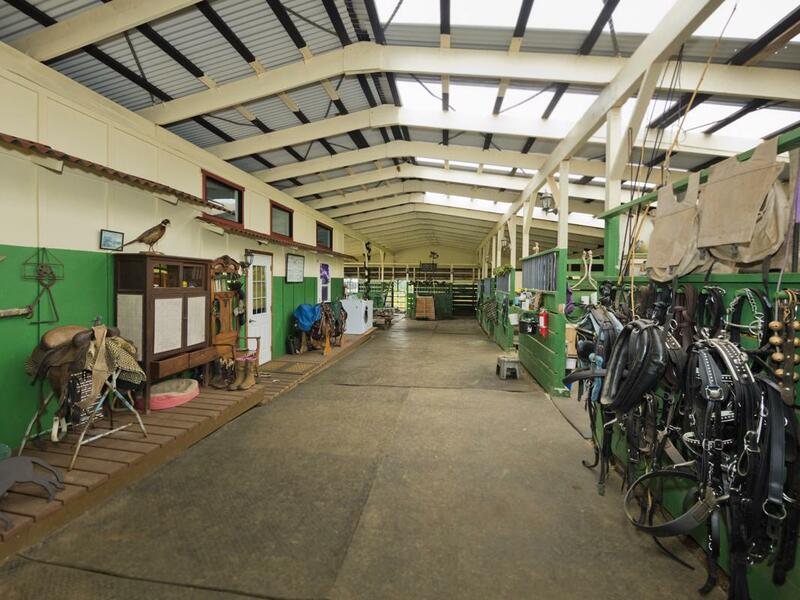 The gorgeous equestrian facility includes custom-built stables with six stalls and grazing turnouts, individual tack, hay and tool storage plus a riding arena and farmer's dwelling. 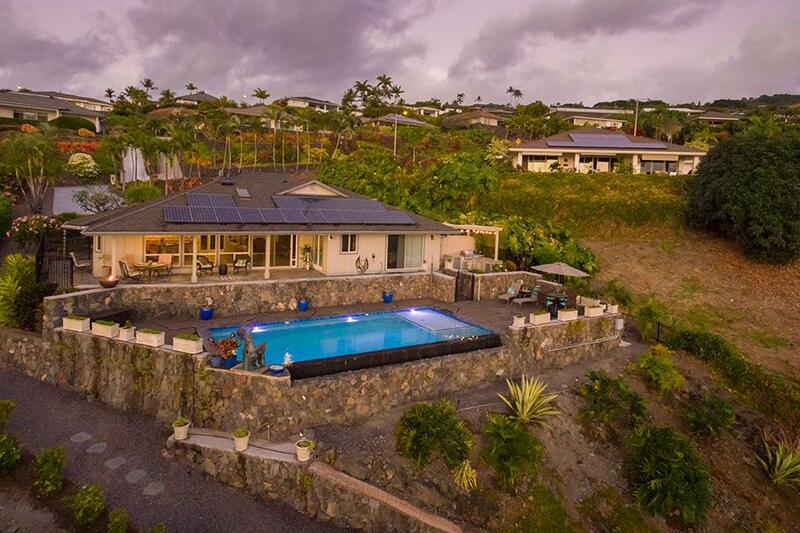 Off-grid elements include state-of-the-art, 48-volt electrical system and 10,000 gallon water catchment tank for the main home. 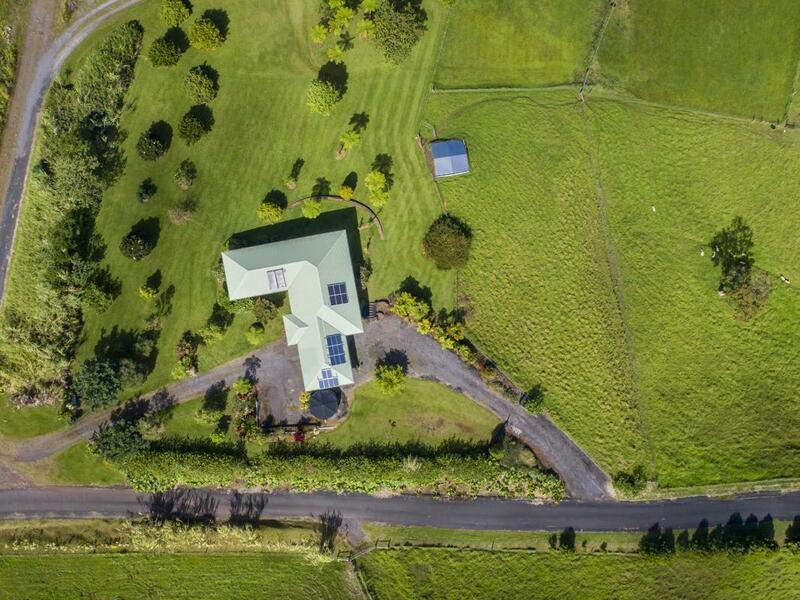 The stables also have a 10,000 gallon water catchment tank along with a 24-volt off-grid electrical system. 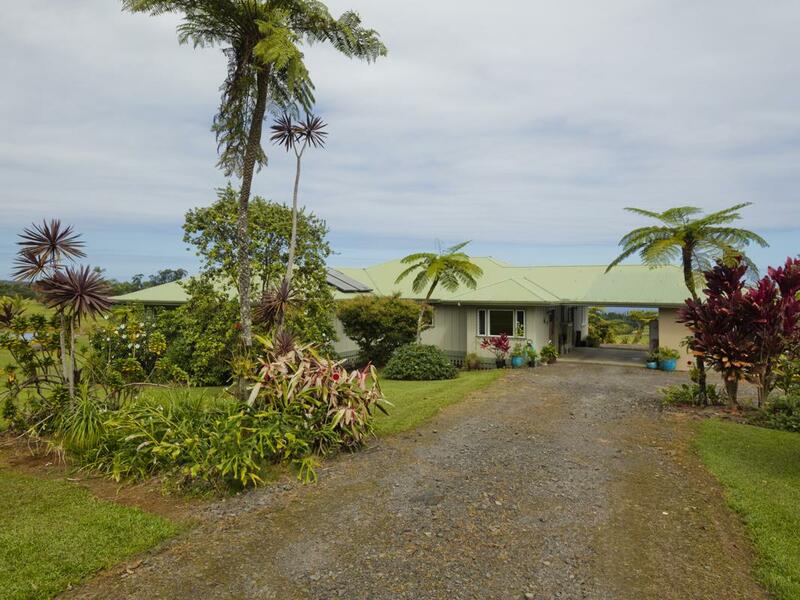 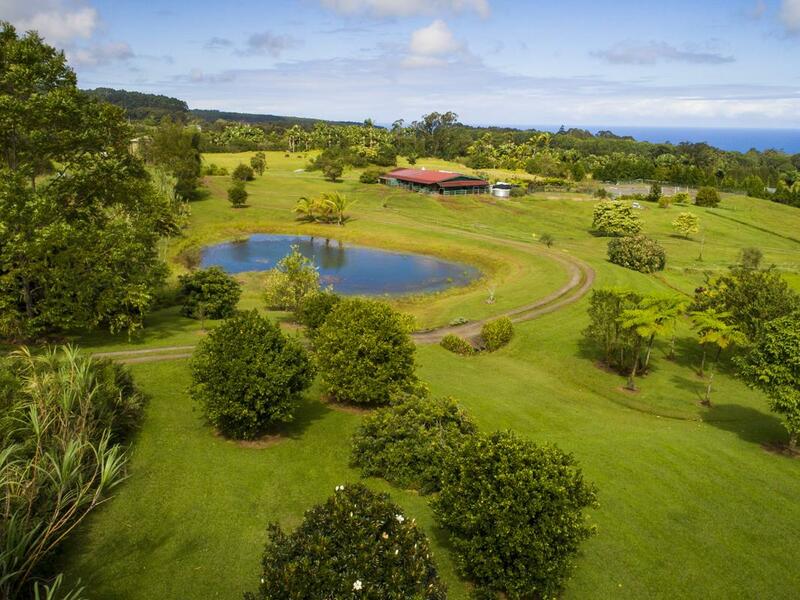 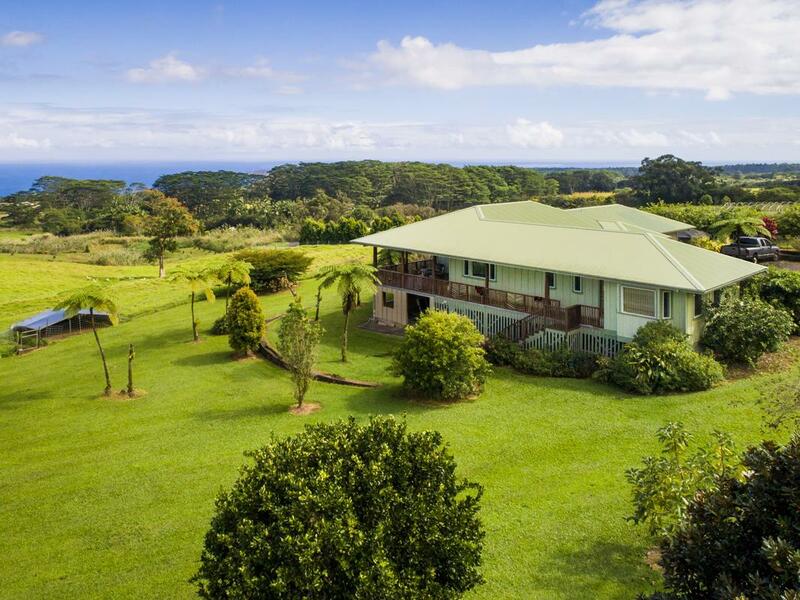 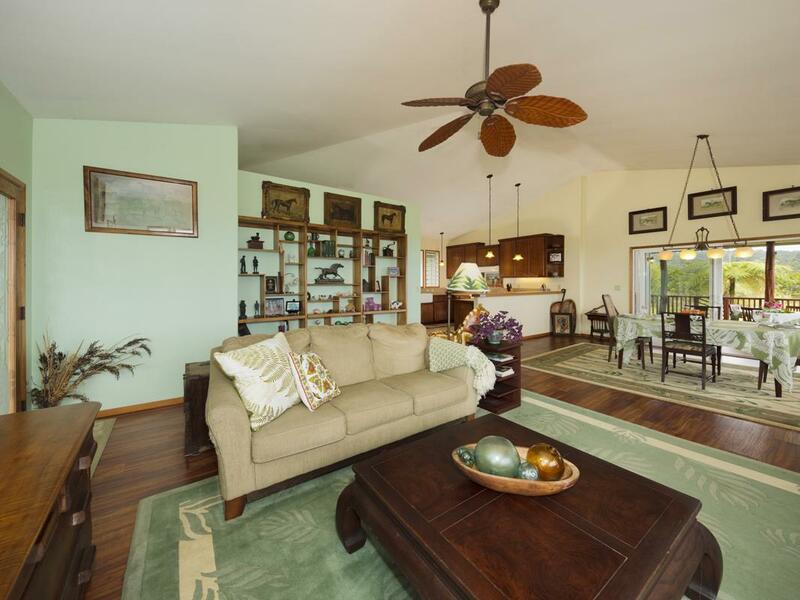 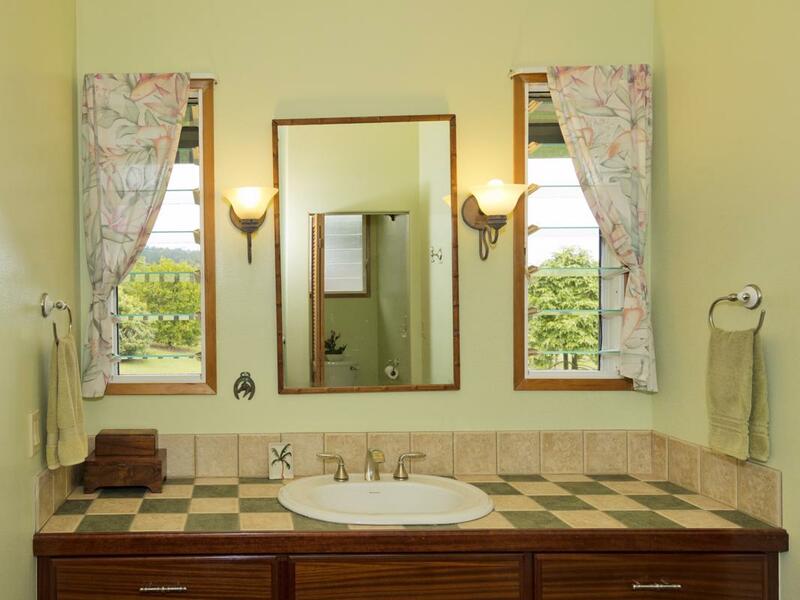 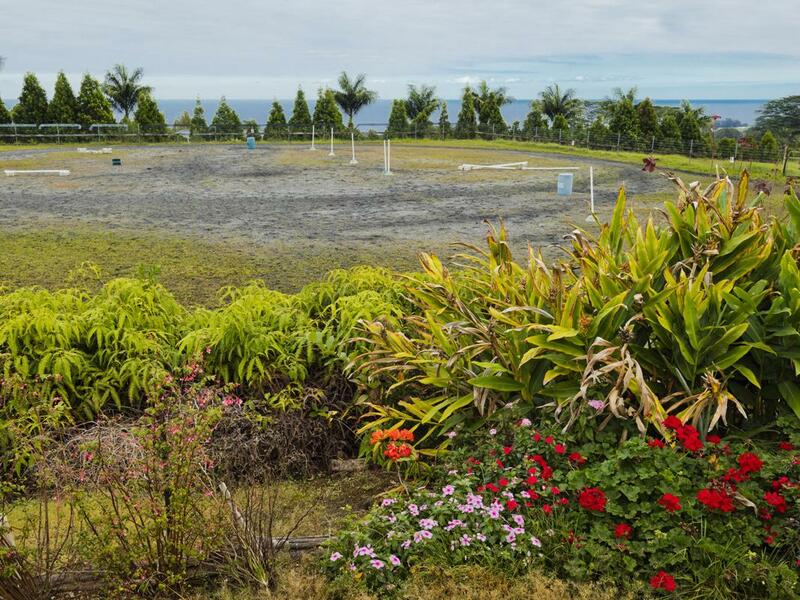 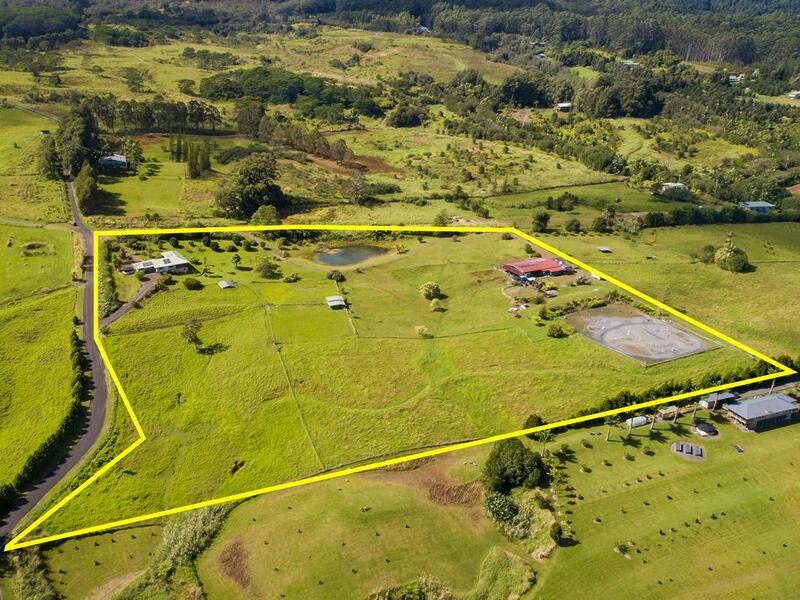 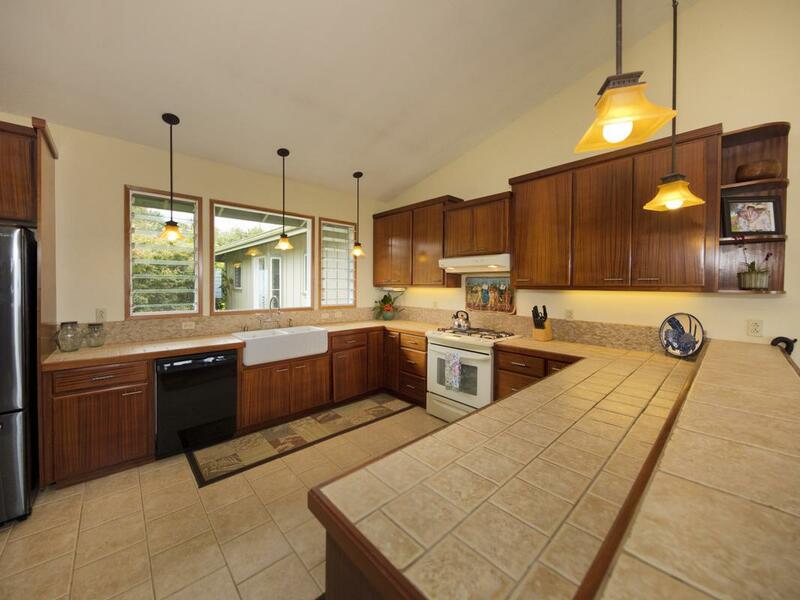 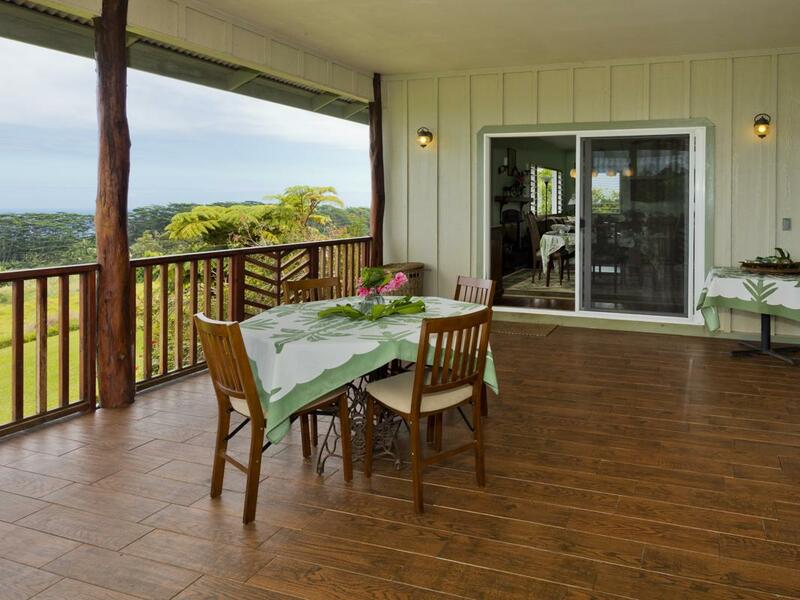 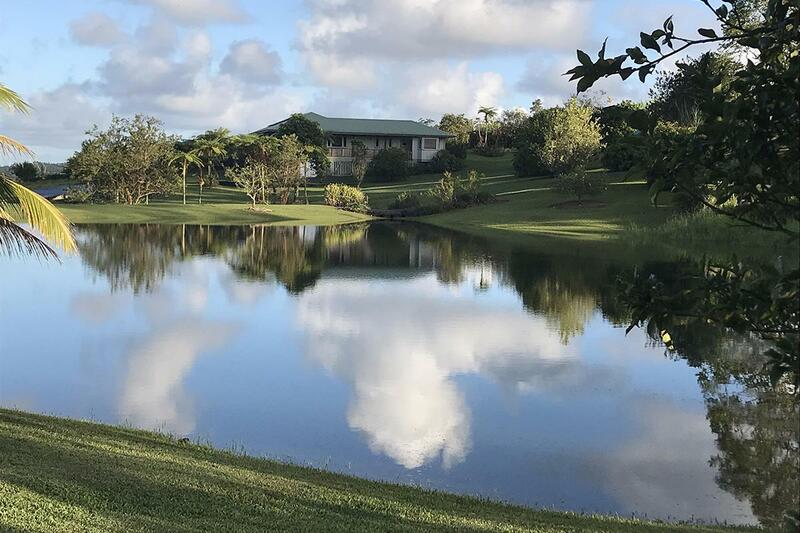 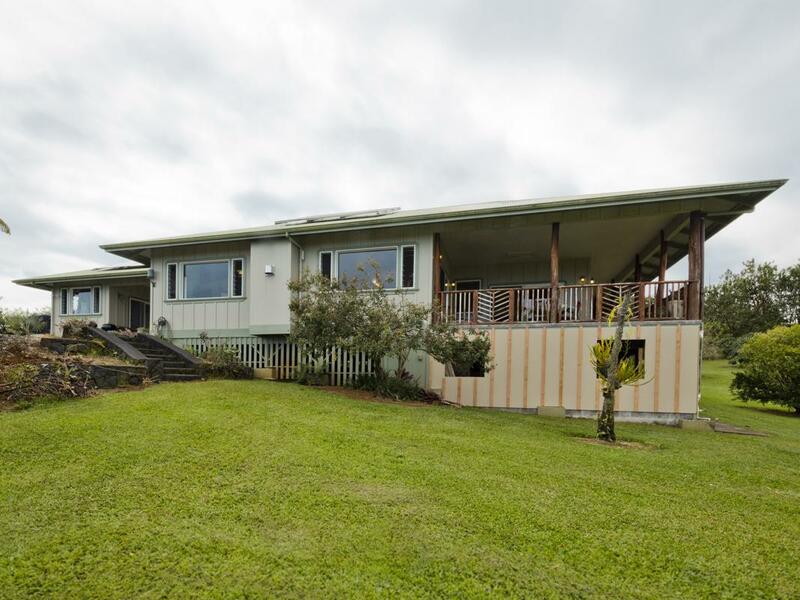 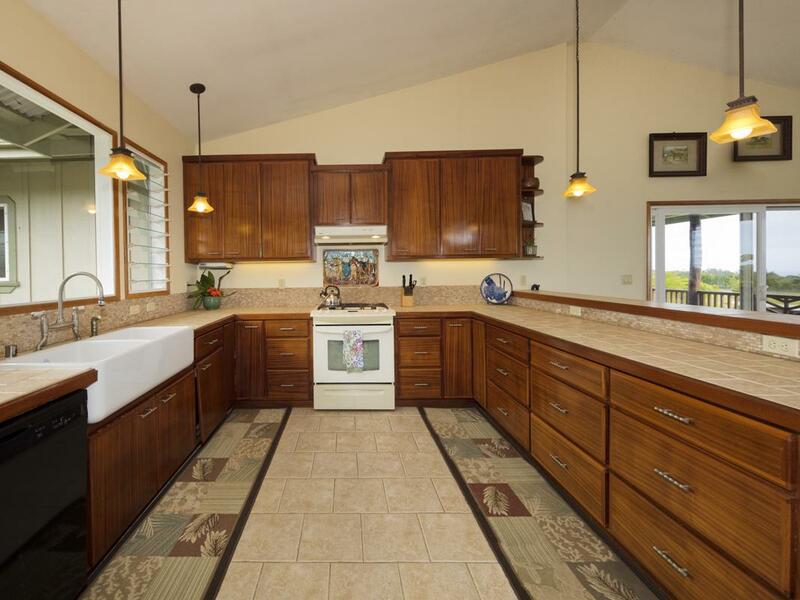 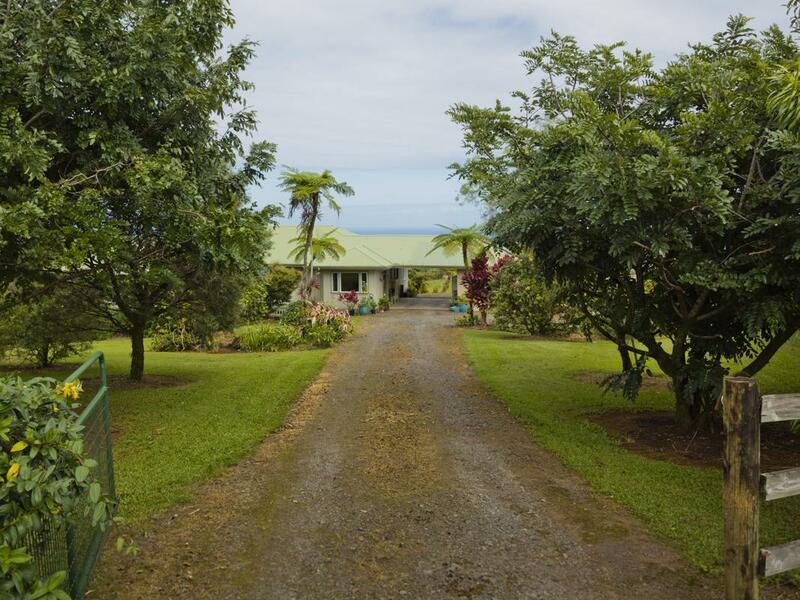 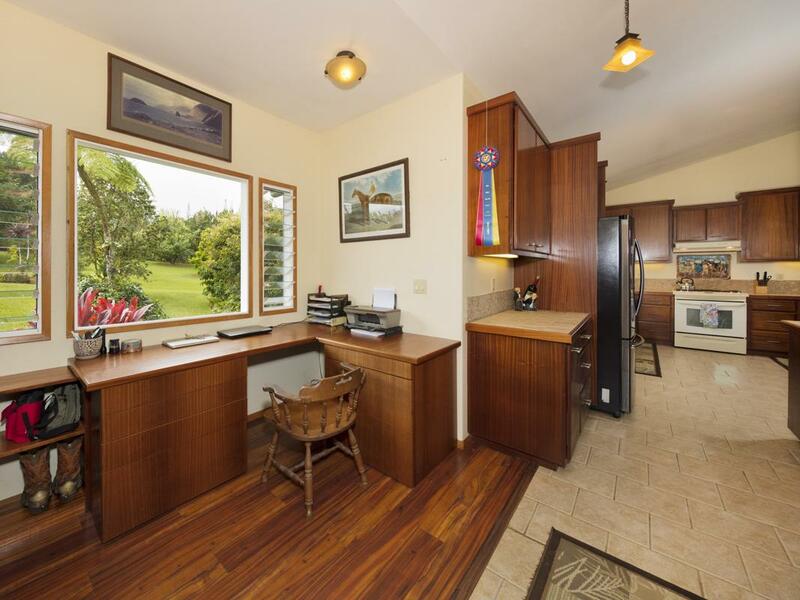 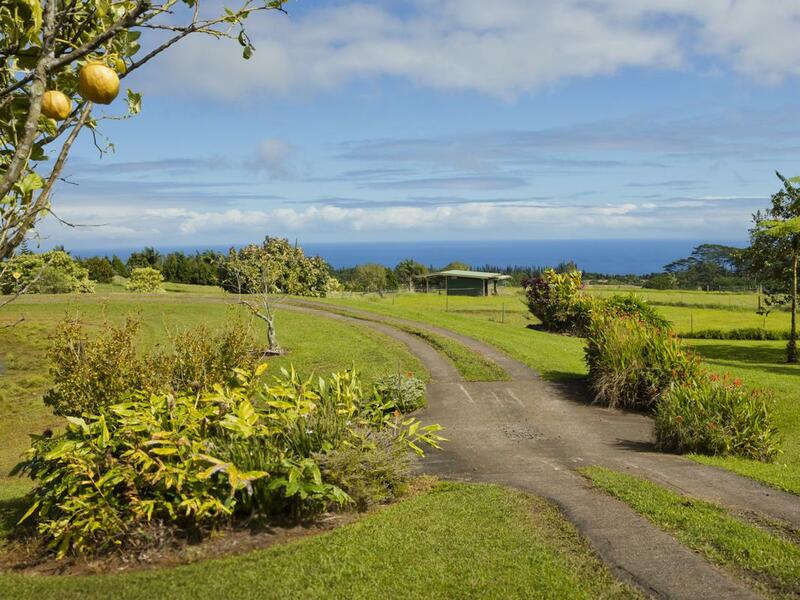 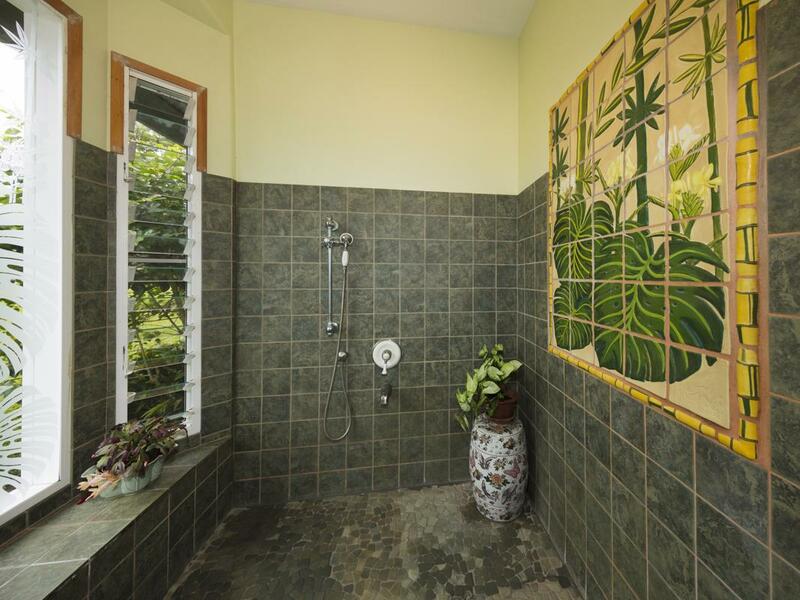 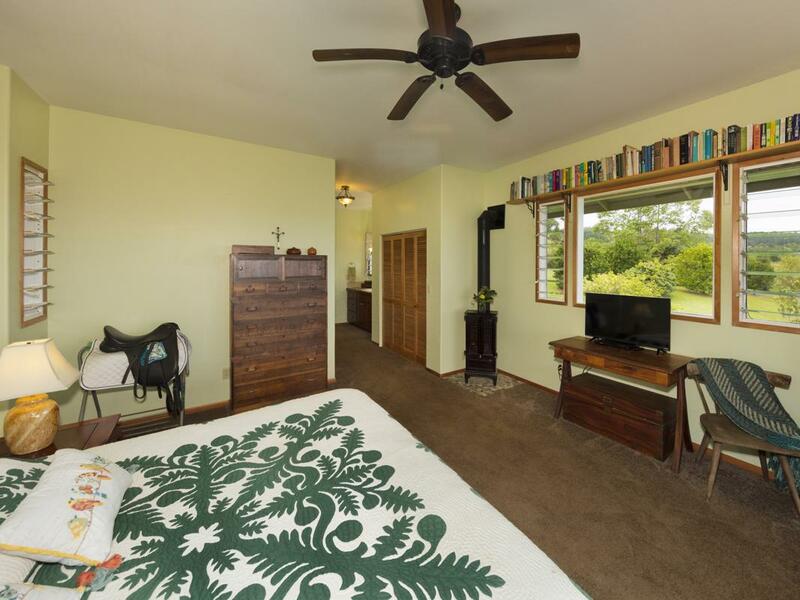 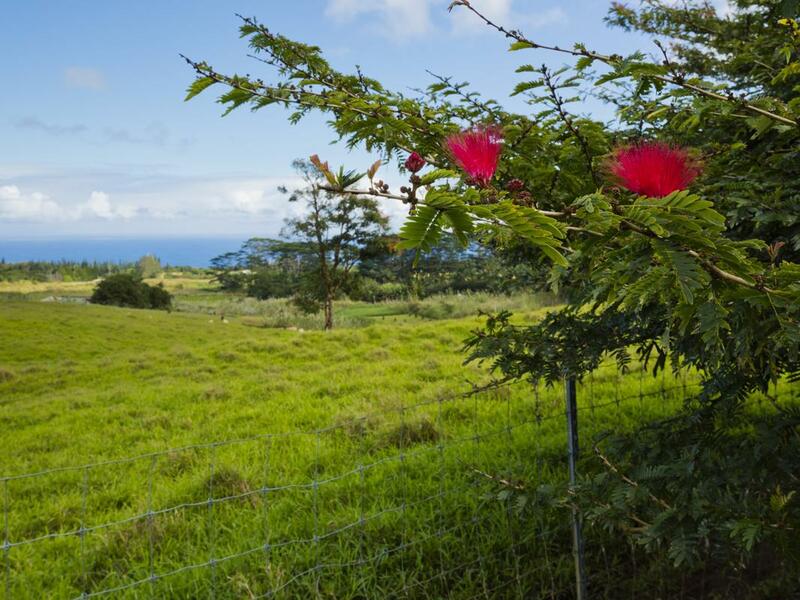 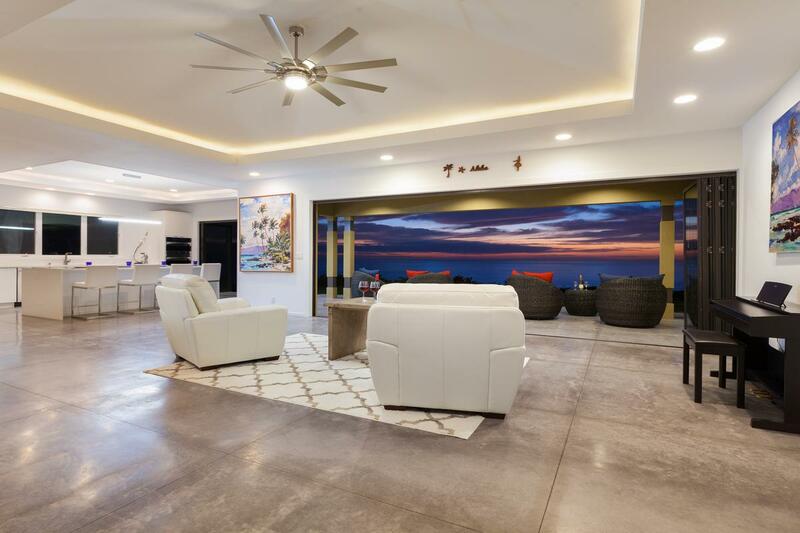 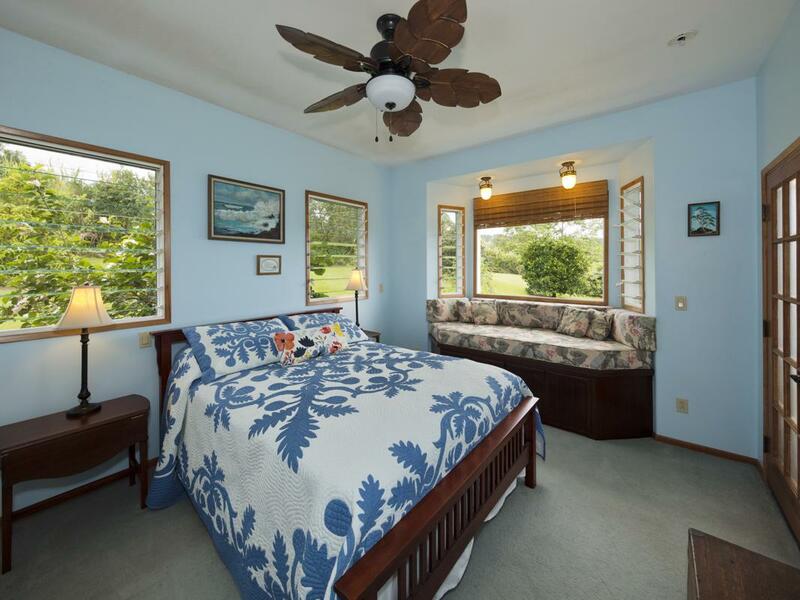 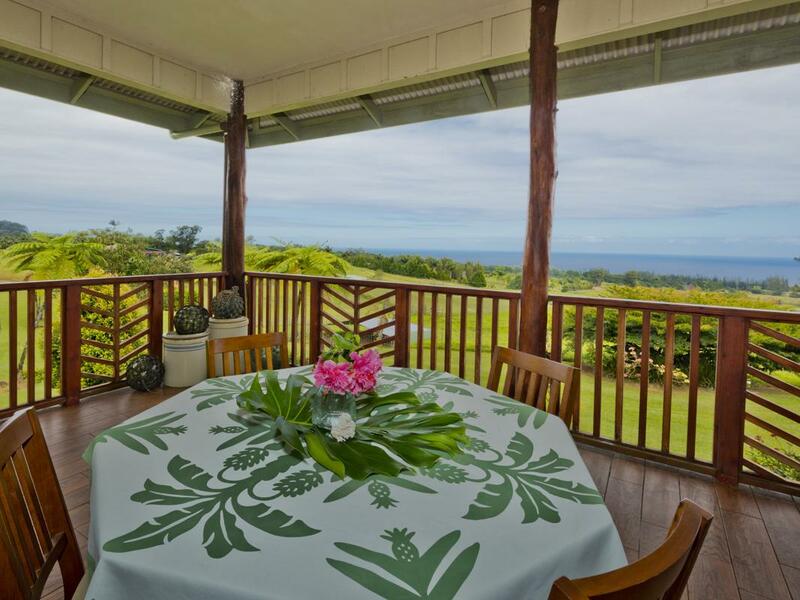 A haven for the weary and a playground for the active, Stables at Hakalau was custom-designed and built specifically for this location and lifestyle, providing tranquility and privacy, yet just 20 minutes from Hilo, the second largest city in the State of Hawaii. 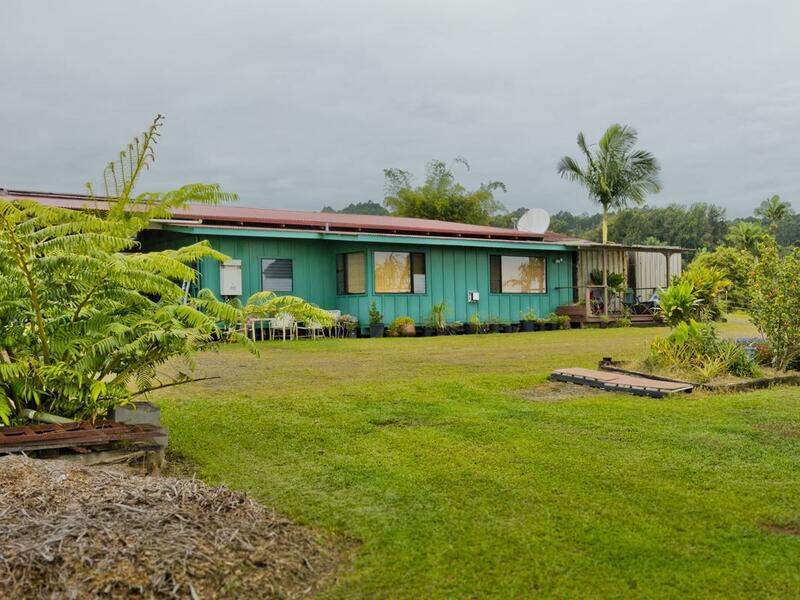 Roof: hip, corrugated iron roof.